I know better than to say ‘never’… at least I thought I did. After 5 years of working for myself, I made the mistake of proclaiming that I was un-employable. The lifestyle I created for myself was too rooted in flexibility that I declared I would never be able to maintain shift work. And then I found myself with 5-figures of debt. My business made money year after year until I scaled back to focus on my health. Scaling back when you’re the reason for money being paid means that you don’t get paid. I’m not sure why I didn’t plan for that. I admitted that I wasn’t doing self-employment right & found a few “side hustles” as they are called in the debt free community. But before I dig into what I’m doing to make more money, I need to unpack some shame. Like an onion, there are a few layers to this — but I think it’ll go quick enough. If I got a j-o-b, that means that I couldn’t keep up the instagram life. And what would all of the instagrammers say to that?! While most of my debt is based in my chronic pain, posting about working from home with my new computer & iPhone doesn’t quite jive with also working a part time job. 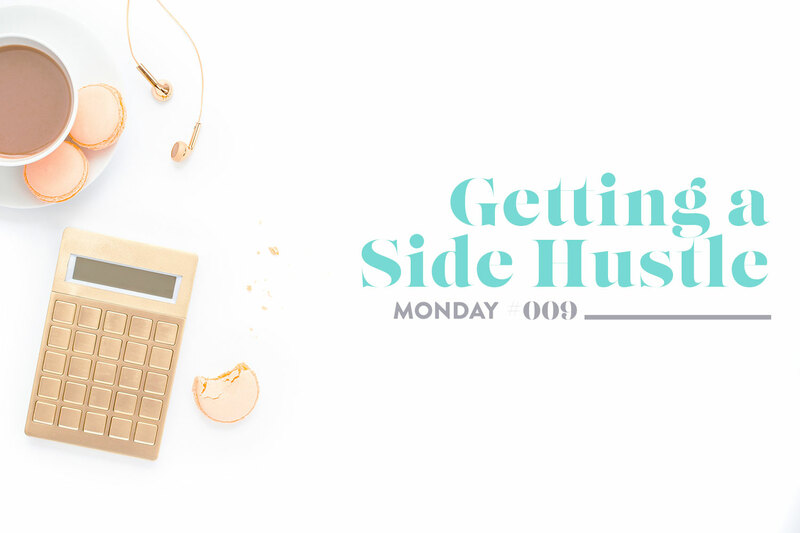 It wasn’t until I labeled these side hustles as “taking some of the pressure off of myself to make money” that I felt ok telling anyone but my husband about what I was doing. Would I judge someone else in my same position for doing this? Absolutely not. But we all know how much harder we are on ourselves. I don’t need to go down that road. I still want to be self-employed. I’m not kidding when I say that I’d love to make enough for my hubby to be a stay-at-home dog dad. Except I’d want him not at home bothering me while I was working. And I still believe those things are possible. Simply put, I need to fall back in love with my business and I need to feel like my health isn’t going to hold me back. By getting a side hustle and taking some of the pressure off of my own business, I have the freedom to fall in love with it again. Instead of feeling that panic of trying to pay my bills every time I get a new one. Second in the shame onion peeling, I was truly terrified. What if I’m too socially awkward to have coworkers? What if my clients find out? What do I wear other than sweatpants? What will I do when I can’t stop by the fridge on a whim? All valid questions, yet all ridiculous. I’m a smart cookie. I functioned in the corporate world for many years. It’s like riding a bike & once I hop back on, I’ll get into a groove again. Right? With that mentality, I lined up two sources of extra income that I am testing the waters with. I will tell you that I completely understand how lucky I am to have found a couple side hustles that I love. The first bit of extra cash I’m working on is something that started in September when an opportunity came up. I learned that people would pay money for me to check in on their dogs during the day. While it’s not going to be the reason I get out of debt, it is helping me “get to neutral” as my therapist said. Plus seeing doggies is a total mood booster, which I needed when crying all the flipping time about my debt. The more serious side hustle that I lined up for myself is working at the tattoo shop where I normally get work done. I’ll stop you right there before you think this is a bad idea. I know that some folks might not have self control being around amazing art all day. I know that this is not something I’m worried about. Plus I’m too busy with tasks to ponder new artwork. This job was a total aligning of the universe in that the shop went through some changes & the owner needed a professional front desk person who is also a social media wizard. I’m only a couple days into working there and I already love it to pieces. I won’t lie that the change from the hourly rate I bill clients at to what I make in the shop was a shock to my system. And in the same breath I can tell you that it’s a great thing for me to experience. At the amazing advice of my bestie, I wrote down a list of ways that working in the shop will help me with my own business. Not surprising to almost anyone, I filled up a page without struggling to find ideas. It’s not always about the debt or the money, even though it can feel like it at times.